Online banks are becoming recognized, gaining more acceptance and changing the business of lending, particularly the risky market of small business loans. Larger banks have been passing off the small business loan market to the online lenders as young companies struggle to show adequate creditworthiness. These businesses that have been having difficulty obtaining loans in the recent past are now turning to the online banks to continue their existence and growth. Loans can often be processed in a few short days. This transition in small business lending has only come to be recognized since the financial crisis, but some of these online lenders are growing at rates that are not just remarkable but astounding. Although many of these newer lenders are making small loans at higher interest rates, they are projected to emerge and contend against the larger established banks for larger, longer and more lucrative loans. As long as legislatures continue to allow cash advances, vehicle title or payday loans, lenders in those niches will continue to do business, but many online lenders are moving away from that model. In the context of consumer loans, online lenders have started to supplant payday lenders and provide longer, medium-term instalment loans. As no brick and mortar business location is required for online lending, overhead and interest rates required to stay in business are reduced significantly. As opposed to the payday loans, medium-term installment loans are repaid over a period of months through scheduled payments rather than in a week or two. The rationale or inducement for the consumer to enter these loans is that with a higher loan amount, the consumer can pay more prioritized costs now while attempting to re-implement their previously established budget. 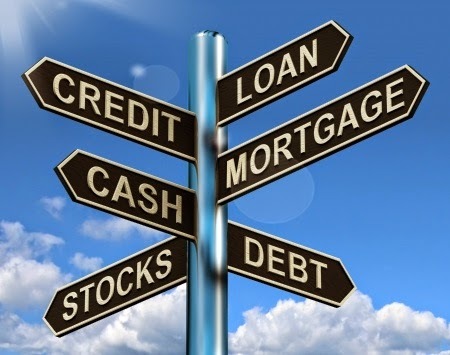 These loans are often seen in the $1,500 to $3,000 range with no requirement of any credit score whatsoever. An example of one online lender's willingness to make loans reveals that it will make a 5 year personal loan at a minimum of $3,000 and up to $25,000.00. A $20,000 loan over 5 years can result in monthly installments of $410.23. Of course, eligibility requirements are more stringent than having a job for a month, a checking account, vehicle and cell phone but that is the model of what online lending is developing into. Even some of the country's largest banks have moved into the online format requiring less documentation for personal loans but again with the most stringent eligibility requirements of the traditional banking industry. Given the present economic climate and the fact that there will always be those that cannot qualify for a more conventional loan, longer and larger loans through the less conventional online lenders will continue to emerge.